‘I think my ideas are more barren in English than in Scottish’ – Robert Burns, letter to George Thomson, April 1793. The Robert Burns Birthplace Museum in Ayrshire is the birthplace of Scotland’s National Bard, a man who both spoke and wrote in Scots. The language still has many speakers today – it is one of Scotland’s three indigenous languages alongside Gaelic and English. But where does it come from? The origins of Scots can be traced back to AD 600 with the arrival of the Angles into what we now call Great Britain. At this time, speakers of Northumbrian Old English settled in the Borders of Scotland, explaining Scots language’s close relationship with this tongue. Originally, this language was largely contained within the south of Scotland, and spoken as a common tongue whilst Gaelic was used further north and as a Court language. This began to change in the 12th and 13th centuries. The language spread north and took on many new influences including Norse (from the Vikings), Dutch and Middle Low German (from trade and immigration with the Low Countries), Romance and Norman. It also took on Gaelic influences e.g. galore (lots of) comes from gu leòr (plenty). However, it was not until the 15th Century that the term ‘Scottis’ was used, by one Gavin Douglas, to refer to the language. Thus it became distinguishable from the language over the border, with its own roots and significance. 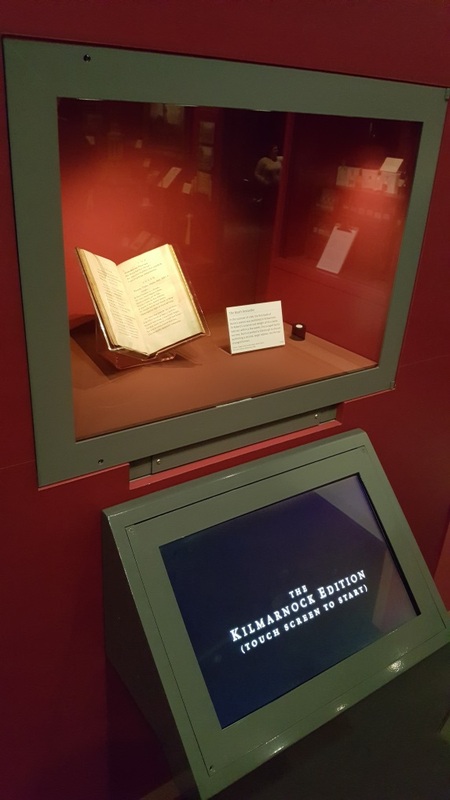 Over the course of the 16th and 17th centuries, Scots as a language became more and more ‘Anglicised’ and by the 18th Century, many members of ‘polite society’ (but not all!) thought of it as provincial and unrefined, and took steps to distance themselves from it. Not everyone took this view, and a new type of ‘literary Scots’ developed. This was championed by Scots writers such as Allan Ramsay and later by Burns himself. Of course it would be quite wrong to claim that ‘Scots’ is a homogenous language. Four separate dialects are recognised: Insular (Orkney/Shetland), Northern (e.g. Caithness/North East), Central (central Scotland) and Southern (the Borders). Many different variations of the language exist even within these broad categories. Gavin Douglas was a Scottish bishop, makar and translator, known chiefly for his poetry. His works include Palice of Honour and Eneados, a translation of Virgil’s Aeneid into Scots. He died of the plague in 1522. 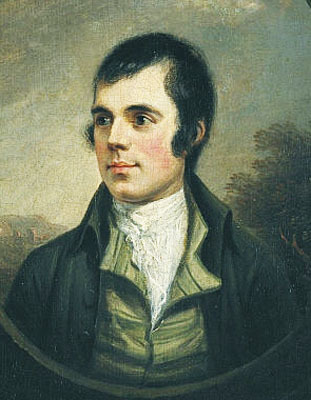 This entry was posted in Robert Burns and tagged 18th century, Allan Ramsay, Alloway, Ayrshire, Gaelic, Gavin Douglas, history, Language, learning, literature, museum, National Trust for Scotland, Old English, Origins of Scots, Robert Burns, Robert Burns Birthplace Museum, Scotland, Scots, Scots language.